What’s not to love spring? With fresh florals and warmer temps, everything changes — the weather, our home decor, even what we eat. 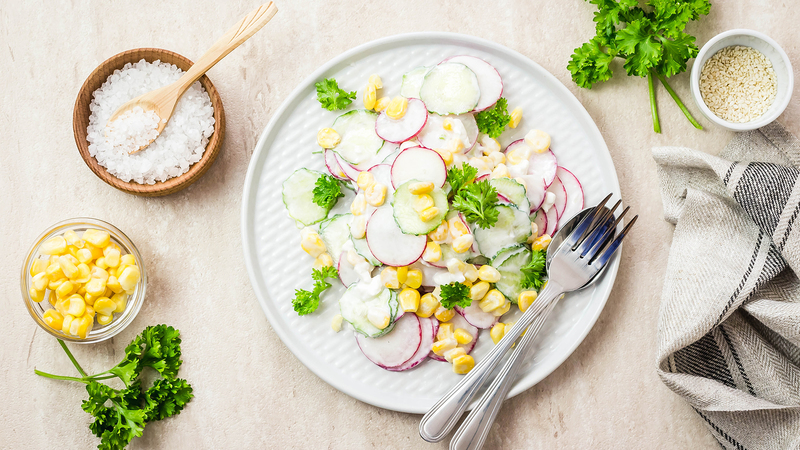 Out with the heavier, comfort-food dishes and in with fresh, seasonal fruits and veggies, like radishes, asparagus and rhubarb. And who better to turn to than the Barefoot Contessa Ina Garten for the best spring recipes? Spring is Garten’s favorite time of the year, especially in her garden, where she grows lettuce, chives and so much more. It’s also the time of the year she comes through with plenty of springtime partying planning tips, because, as we all know, Easter’s around the corner, meaning family gatherings and plenty of food to keep guests full. 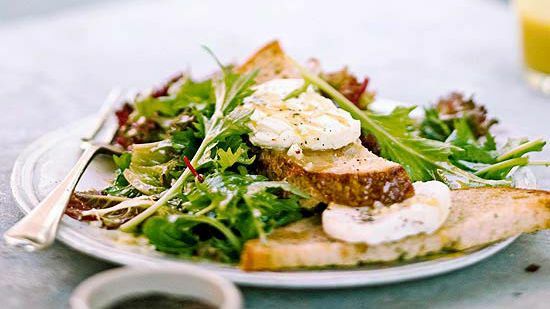 One of our favorite tips from Garten is to prepare dishes that’ll wow your guests without leaving you with a mess (and a meltdown) in the kitchen, and we have just the dishes that won’t stress you out and are guaranteed to please everyone. Ahead, we’ve gathered all of Ina Garten’s best spring-time recipes to make for family and friends at your upcoming Easter feast. Asparagus season is between February and June, with April being the peak, so this veggie is a must-have in your spring dishes. This intermediate recipe serves six and is the most decadent asparagus dish you’ll probably ever had, as its co-stars include prosciutto, white truffle butter and Gruyère cheese. Prime rhubarb season runs from April to June, so stock up once they hit the produce aisle. Then, immediately go to work whipping up this rhubarb crostata, which has a fruity filling that includes raspberries and orange zest and juice. In the early spring and in the fall, arugula is back in season, so why not load up a white pizza with this leafy veggie? Garten’s white pizza recipe is quick-and-easy, but only if you opt out of making the dough from scratch. On cooler spring nights, a stew packed with veggies is in order. 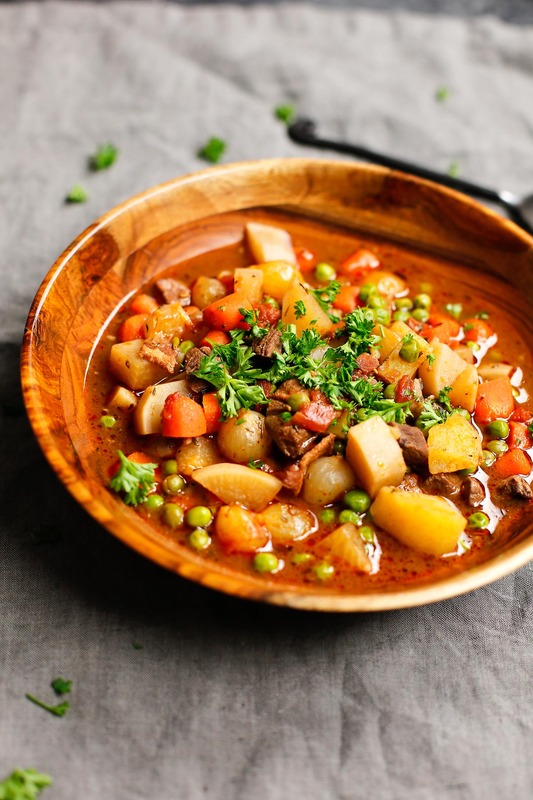 This particular lamb stew with onions, turnips, green peas, potatoes, rosemary, thyme, tomatoes and garlic is an easy to make. With a five-out-of-five star rating and over 160 reviews, this spring green risotto is one of Garten’s most popular spring dishes — and for good reason. With chopped leeks, fennel, Arborio rice, asparagus and peas, this bowl of risotto doesn’t skimp on the spring veggies. It doesn’t take much to throw together a tasty radish dish. Sometimes, it’s as easy as placing atop buttered slices of French baguette, as this radishes with butter and salt recipe by Garten calls for. Image: Better Homes & Gardens. At your next dinner party, really impress your friends with this refreshing, not-too-filling warm goat cheese salad. It just takes 15 minutes and you can brag that you made the dressing from scratch. Image: And They Cooked Happily Ever After. Considered a fan favorite, this parmesan chicken recipe has a five-out-of-five star review with nearly 550 reviews. The best part? This intermediate-level recipe takes just 30 minutes to make, leaving you with juicy, parmesan-crusted chicken breasts topped with a lemon vinaigrette-dressed salad. This parmesan pasta combines all your favorite spring veggies, including peas, bell peppers, carrots, as well as mint, parmesan and even goat cheese. Drizzled with olive oil, you’ll devour the bowl in one minute flat. Gather the kids for this one because not only is this a dessert they’ll love helping you prepare and decorate with sliced strawberries, but they’ll also love licking the spatula clean of the raved-about cream filling used in this strawberry tart dessert. Sure, strawberries are pretty much always in season, but this light, flavorful strawberry country cake screams spring. Make it for Easter, make it on a random Sunday — just do yourself a favor and make it.